From the time he was just a boy, Ondre Pettingill has had a passion for art — a passion that has clearly been played out in his compelling, rural landscapes like the ones on display at The Angelus Theatre in Spanish Fork, Utah. How did Pettingill’s artwork come to hang in the lobby of this iconic theatre? As often happens, it was a case of a friend introducing a friend to another friend. Theatre owner, Curt Gordon, during the course of his renovation of the historic theatre was looking for artwork for the grand opening, and his Brother Chunky bandmate happens to know a talented, local artist, Ondre Pettingill. In addition to sharing his art with the theatre, Pettingill enjoys attending the weekly Thursday night jam sessions held at the theatre when he can and even brought his harmonica along and played during one of the monthly blues nights. 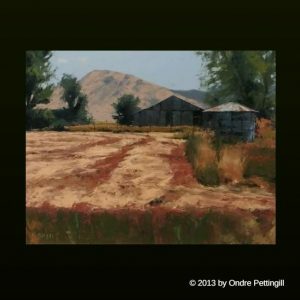 Fittingly, Pettingill, a former resident of “Art City” as it’s known to the locals, (and Springville, Utah to everyone else) loves to bring art to life. 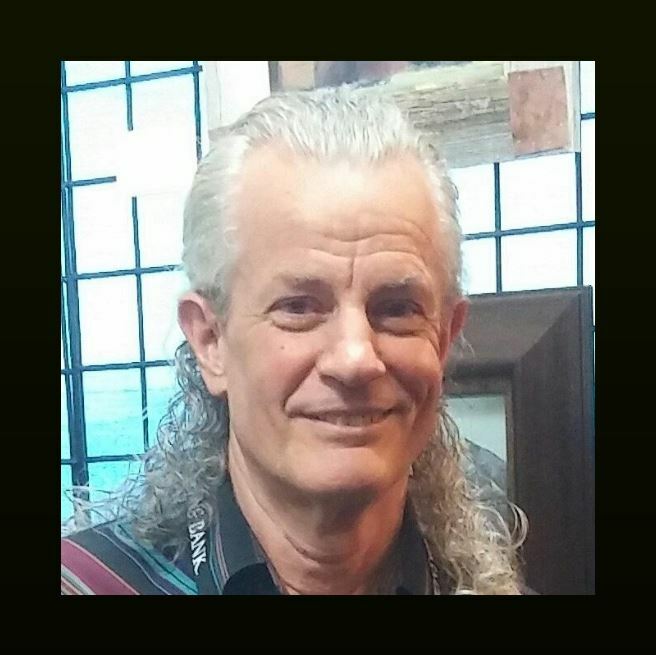 Now living in Spanish Fork, Pettingill’s fine arts education and artistic passion took him on a journey from being a commercial artist in New York to teaching art classes at several secondary schools in Utah County, and now working from his home studio. Introducing students to art movements throughout history and helping them connect art to architecture, literature, and the humanities was a fulfilling experience for Pettingill. Teaching art was, in a sense, coming full circle from the days he was a university student learning about various artists’ styles, their importance, and how their art affected both the environment and society as a whole. Figure painting and portraits, as the gallery on his website attests, has always been a strong interest for Pettingill. And though he is indeed a very skilled figure and portrait painter, his interest has more recently been captured by landscape painting. His preferred medium is oil on panel board, using a palette knife technique, though lately, he finds himself turning to the brush more often. Pettingill appreciates the outdoor beauty and has developed a love for painting in a “plein air” environment, and the Utah scenery provides plenty of inspiration! In an artist statement from his website, Pettingill shares that, “one can find beauty in nature even in a blinding snowstorm where all the colors of nature seem to have the same color and values.” He goes on to pinpoint the elements that result in a successful painting which include having an interesting flowing composition, colors that work in harmony and aesthetic beauty among other things. He has “a burning desire to make each of [his] paintings better than the last by observing [his] subject matter and techniques closer during the process as [he] continues [his] artistic journey.” We think he has succeeded. With an impressive number of awards, art shows, and commissions under his belt, Pettingill has done what he encourages aspiring artists to do, “Follow your dream. Don’t give up.” Stop by the Angelus Theatre at 165 N Main in Spanish Fork to see some of Pettingill’s work in the lobby. Always popular, the Battle of the Bands is back at the Angelus Theatre, Spanish Fork’s premiere venue for concerts, stage performances, and more. Preliminaries will be held July 18, 19, & 20 with the finals happening on July 21st. Each band gets to play for about 20 minutes, but only one from each preliminary evening will advance to the finals. Saturday evening the finalists will battle it out for the $500 prize awarded by Paradox Entertainment and Sonic Valley Records. Come cheer on your favorite band! Check out the events page for more information and to sign up.